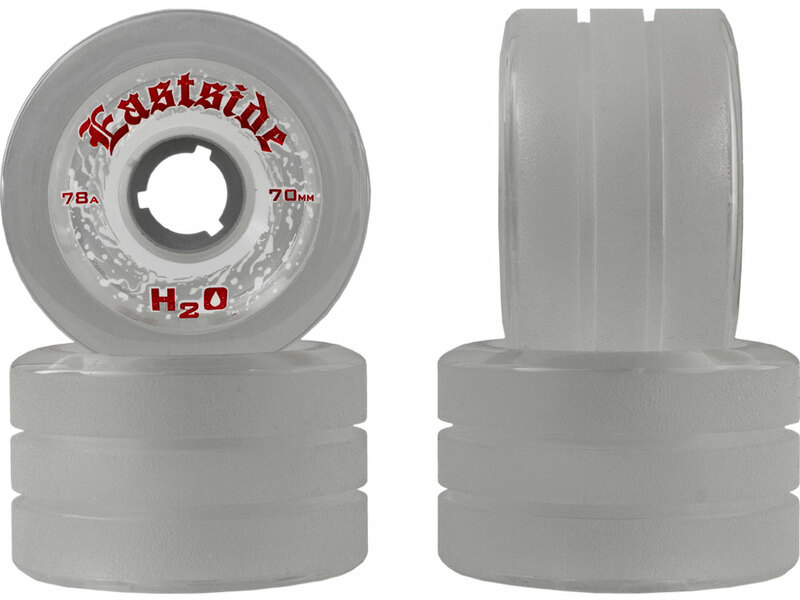 The Eastside H20 Rain Wheels are center set and stoneground. To make them respond in the rain, two carefully spaced insets have been machined around the wheel acting as tread on a tire. 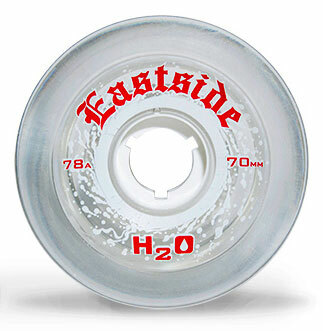 This reduces hydroplaning by displacing the water on the road and providing the traction you need to stick your line. And YES, THEY DO WORK! It doesn’t mean that wet roads act completely dry when using them. 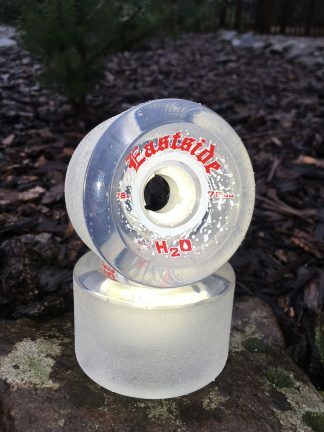 Instead of your regular wheels slipping out really fast, the H20s will give you more time to react and control your slide. 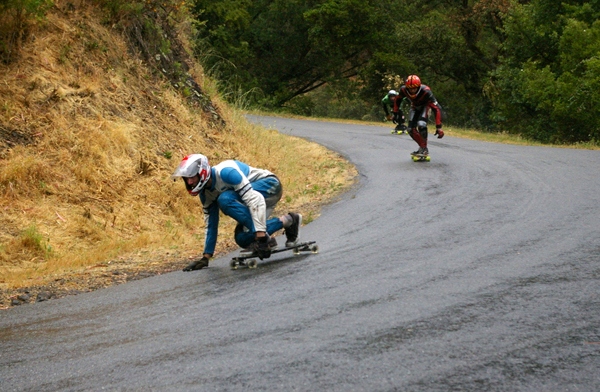 Also when you drift or intentionally slide, its easier to hook back up smoothly and continue on with speed. 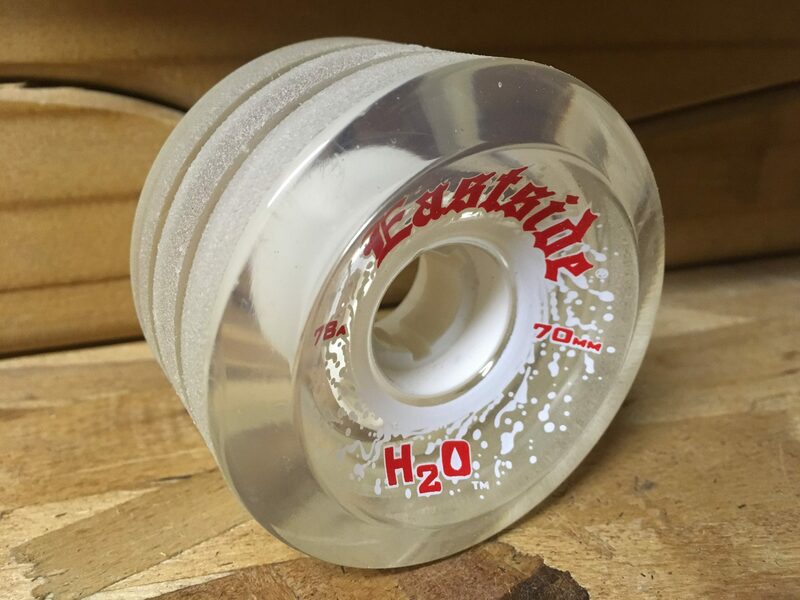 They work best on completely wet roads and last a very long time if never ridden on dry pavement. However the added stoneground provides smoother sliding in spotty conditions such as sliding through wet and hitting a dry patch. 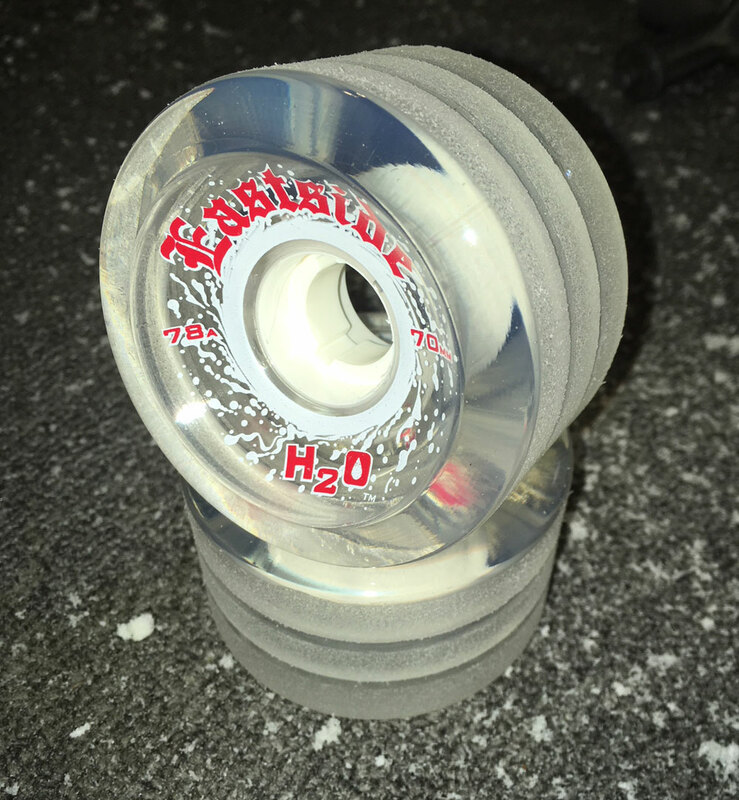 Instead of your wheels gripping up unexpectedly and throwing you off the board, the stoneground allows a smoother transition keeping you in control. 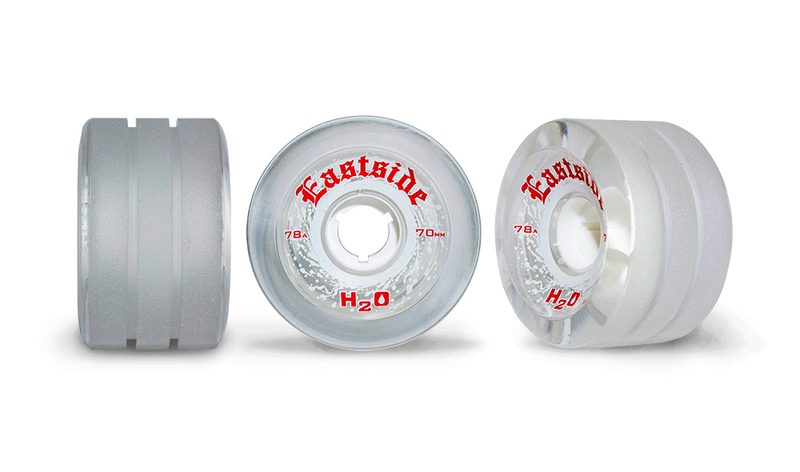 70mm is a perfect size for riding on wet pavement whether freeriding, racing downhill, or just for transportation. They allow for faster acceleration out of turns than bigger wheels. 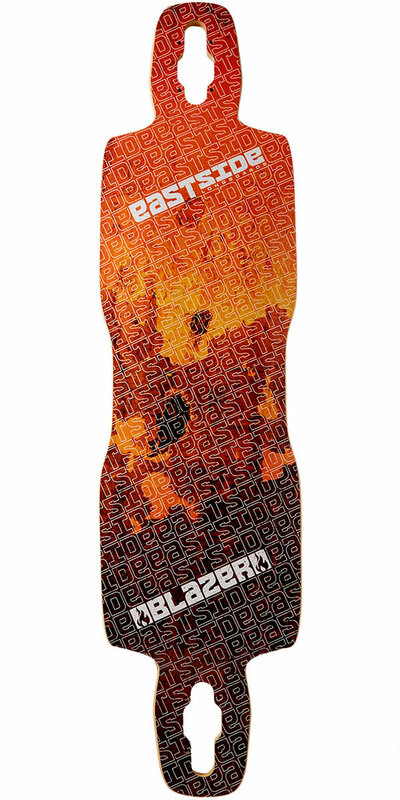 And they are great match for any longboard including commuter boards to keep you safe in the rain with superior control. 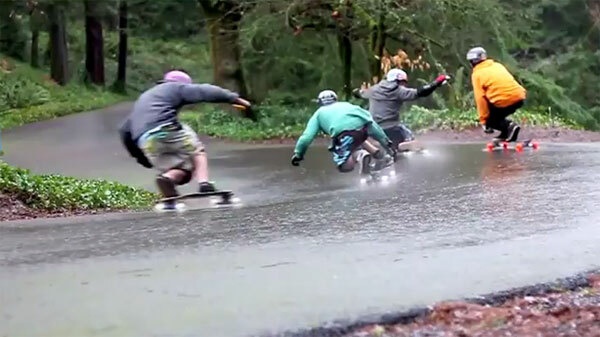 Most riders enjoy having a set on a designated rain board. 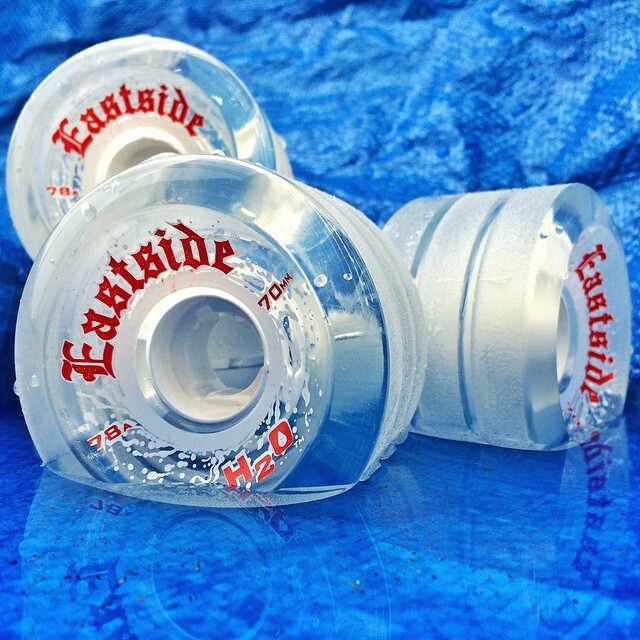 And some riders just like to have them in their collection of wheels just in case it rains on race day. 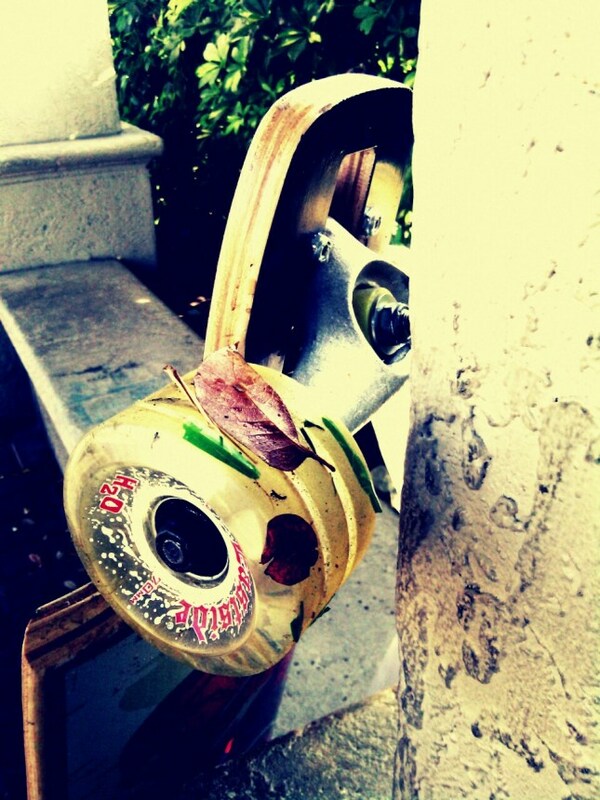 Photo by the Longboard Critic. 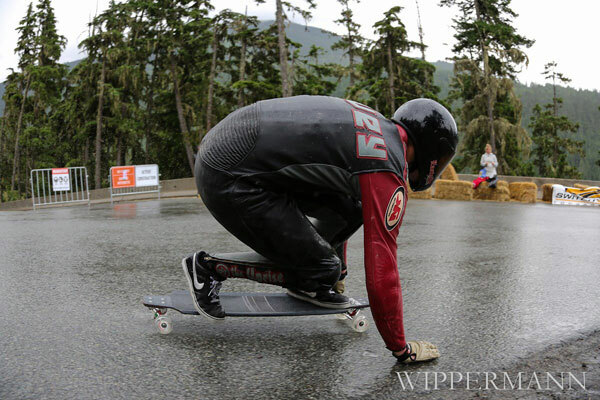 Team Rider Eric Hovey racing on the H20s at the 2012 Whistler Downhill Race. 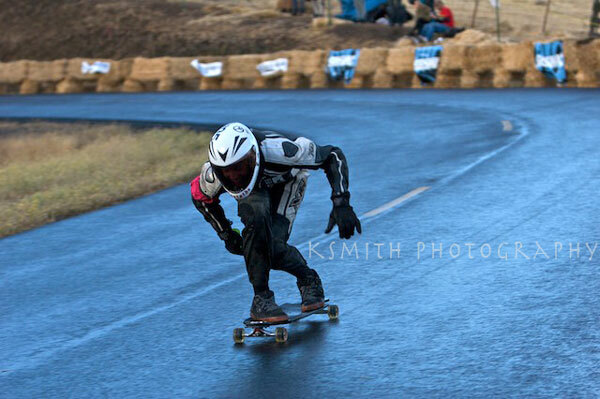 Alex Tongue racing on the Eastside Rain Wheels placing 10th at the Maryhill Festival of Speed 2009. Casey Morrow racing on the Eastside Rain Wheels winning the Cali #5 NorCal Race on May 25th, 2008.